As you may know, the second major version of Entity Framework Core, 1.1, was released recently, however, some of the features that used to be in the non-Core versions still didn’t make it. One of these features is lazy loading of collections, and I set out to implement it… or, any way, something that I could use instead of it! ToString and GetHashCode delegate to the internal list as well. As you can see, I kept it very simple – no null/type checking or whatever, that is left to you, dear reader, as an exercise! Hope you like it! Let me know your thoughts! Entity Framework Core 1.1 was released last November. With it, besides some bug fxes and semi-transparent improvements, came along a few goodies. If you read my previous post on features missing in Entity Framework Core 1.0, you’ll be please to know that a few have been addressed. This one allows you to provide your own strategy for retries, by implementing IExecutionStrategy. If you want to use this approach, your entity must implement INotifyPropertyChanged and all of its collections must implement INotifyCollectionChanged. If any of the properties or collections in it changes, you must raise the PropertyChanged or CollectionChanged events, otherwise EF will not know that it is modified. We just have to wait for the next priorities of the team. This is the fourth and possibly final post on my interception in .NET series. See the last one here. This time, I’m going to present a framework for doing dynamic interception. Mind you, this is proof of concept code, it is not ready for production usage, although it can do some interesting things! This is going to be a long post, bear with me! I’m going to introduce another one, interception using dynamics, at the end of this post, I think it has some merits of its own. An instance interceptor is one that takes an existing object and intercepts calls made to its methods. A type interceptor, on the other hand, generates a type deriving from a given one that, when instantiated, will have the interception hooks that we chose to add to it. The interception hooks mean that we can intercept a method call – and remember that properties are actually methods – and execute custom code before, after or instead of the intercepted method. An interception hook for an instance interceptor is an instance of a class that implements some interface, and for a type interceptor, it is a type that also implements that specific interface. Now let’s see how we implement the actual interceptors. A virtual method interceptor is a type interceptor, it needs to generate dynamically a class that inherits from the passed type and, for all of its virtual methods that are marked for interception, override them in this dynamic class, adding hooks for the interception aspect. 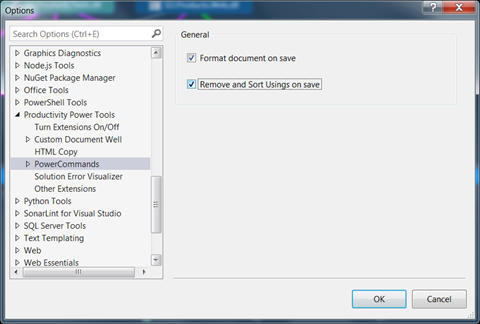 Recently, we have another option: Roslyn. But I won’t talk about it here, definitely a topic for a future series of posts on its own. Its contract specifies the base type (that is going to be subclassed), any additional interfaces and an interception handler type, which needs to implement IInterceptionHandler and have a public parameterless constructor. Granted, this one is a bit complex, as it needs to generate a whole type dynamically, including constructors to match the base type, overrides for virtual method and properties, and it needs to have them call the interception handler instance. The generated type will also implement the IInterceptionProxy interface, which exposes a Interceptor property, from which you can at runtime access the interceptor. If you are not used to working with the code DOM, have a look at it, you might find it instructive! The only care that you need to take is to only intercept non-virtual types, with public constructors. Also, the interception handler type must have a public parameterless constructor. As you can see, all the intercepted type needs is to implement one interface, it’s this interface that can actually be intercepted, and this is the second parameter to the https://msdn.microsoft.com/en-us/library/ms731082(v=vs.110).aspxmethod. This one is the technique that WCF and .NET Remoting use to communicate to a remote system. Using TransparentProxyInterceptor we can only intercept types that either inherit from MarshalByRefObject or implement some interface, in which case, we can only intercept methods and properties coming from that interface. Again, all it takes is an interface to intercept. Since its early days, .NET introduced an interception mechanism that doesn’t need any coding. The problem is that it requires inheriting from a particular base class (ContextBoundObject) plus adding an attribute to it (ContextAttribute). I include this technique here for completeness, since it is usually not that useful. As I said, this technique is only listed here for completeness’ sake, I don’t expect you to be using it much. 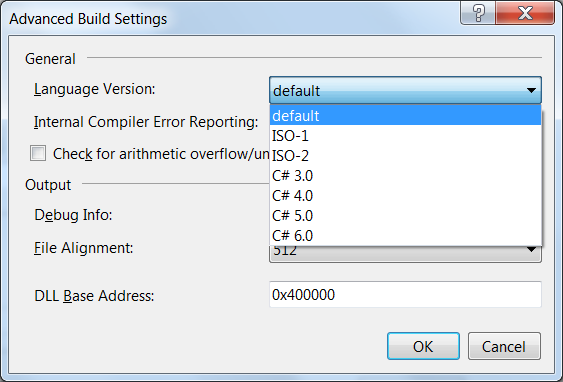 Final technique, this time, we will be making use of the dynamic functionality introduced in .NET 4. This one inherits from DynamicObject, which allows us to find properties and methods at runtime. //here: using dynamic instead of MyInterceptedType! No constraints whatsoever in what you can intercept, you need only to remember to declare your proxy as dynamic instead of an actual type. When it is asked to intercept a method call it loops a number of times, tries to call the default implementation, and, in the event of an exception, sleeps for a while and tries again. If it reached the maximum number of retries, it just throws the caught exception. You can specify an order by which you want interception attributes to execute. Other scenarios, like intercepting static methods, can only be solved through IL weaving. Have a look at my previous post about it and see if it helps you. Keep in mind that this code works as it should but it is not bulletproof. Let me know if you face any problems using it, or if you have any questions or remarks! Updated: see the last post in the series here. Part three of a series on interception in the .NET world. See the first part here and the second here. This time I’m going to talk about static interception using PostSharp as an example. Static interceptors use information provided at code writing time – aspects – to do IL weaving. This basically means that after the .NET assembly is compiled, PostSharp rewrites the produced IL to apply the changes intended by the code developer, such as method interception. This is a good thing, as you can intercept types and methods regardless or not if they are virtual, static, implement some interface, etc. This won’t be a full coverage of PostSharp, of course – which has far more than just interception – , but I include it in this series so that we see how it compares to other techniques. 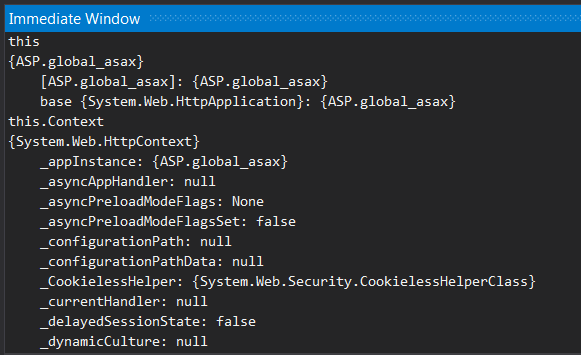 Note that you need to reference the Nuget package PostSharp.Patterns.Diagnostics, or any other that contains the PostSharp core assemblies. // Database or web-service call. After Visual Studio (or, rather, MSBuild), builds your assembly, PostSharp pops in: it reads definitions present in the PostSharp.Custom.targets file and modifies that assembly to call the RetryOnExceptionAttribute’s OnInvoke method around the Customer.Save method, because the aspect was applied to it. Although hard to understand, rest assured that it does what you expect! There are a bunch of additional types generated, but it’s really irrelevant to look at them. There are some commercial alternatives and then there’s Mono.Cecil. Implemented as part of the Mono project – meaning, free and open source – it allows you to do low level IL weaving, but you should know what you are doing as there are none of the nice wrappers that PostSharp provides. There are some interesting projects that make Mono.Cecil easier to use, and one of them is Fody. It is basically a wrapper around it, and is also open source. If you want to do things yourself, give it a try! PostSharp is very powerful, as is IL weaving in general, but sometimes we need more than static interception. Here’s where dynamic interception kicks in. In the next post, I will start describing a framework for dynamic interception with a number of implementations. Stay tuned! 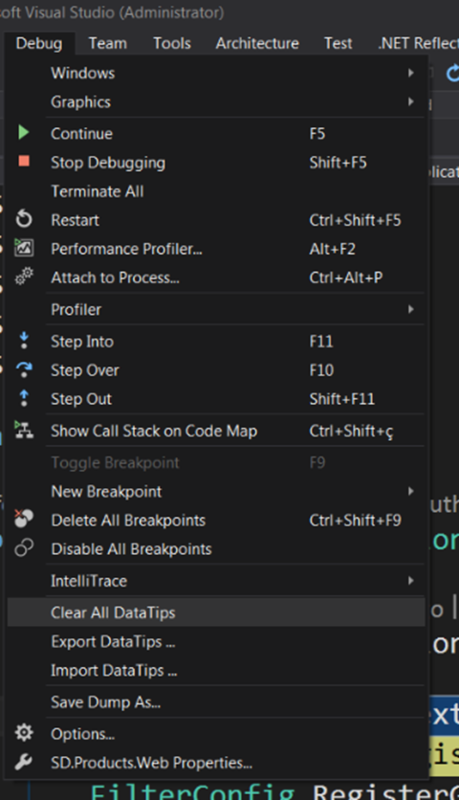 OK, so this is another round of tips on using Visual Studio! See first collection here, second here and third here. To remove it, click <Ctrl>–K–H again in the same line. Note that this is not the same as the bookmarks featured introduced in the third set of tips! Code Maps: this requires Visual Studio Enterprise. Open the Architecture menu and select Generate Code Map for Solution. Code Metrics: get a static analysis report of your project, only in Enterprise edition. In the Solution Explorer, right click on your project, Analyze, and select Calculate Code Metrics. From here, you can flag your code so that it is more clearly visible. 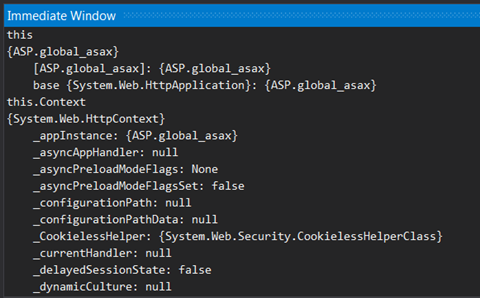 You can enter any .NET expressions and variables or even complex expressions and see them evaluated at once. Pin and export Data Tips: while debugging, break and hover any variable or field in your code. Click the pin icon on the right of the tooltip window. This will create a Data Tip. 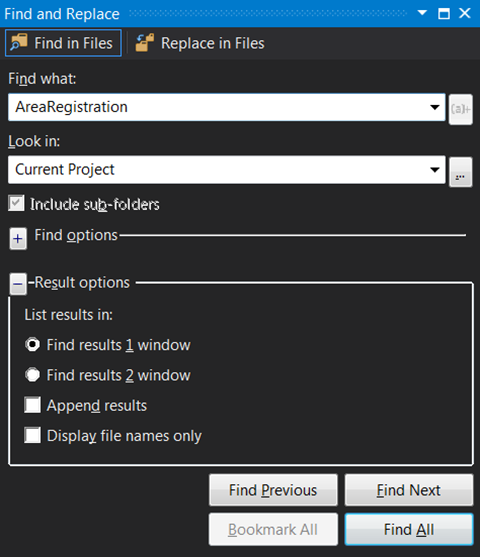 With this, you can also append to current results or show only the file names that match the search pattern.